Located in the Rensselaer Commercial Properties building. On the East Bound Side of I-80 after Home Depot. Driveway directly after The Junction Manufacturers Outlet Center. Before the BP gas station. Sell Your Car in Pine Brook - Fast, Safe, Fair! 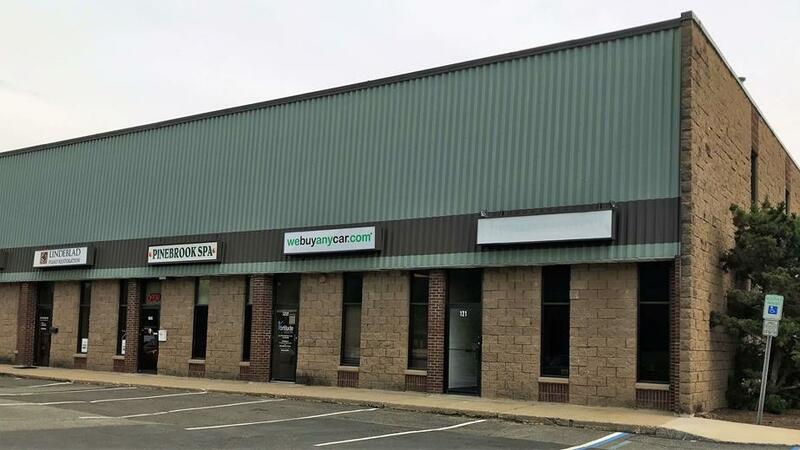 We Buy Any Car Pine Brook, NJ is the fast, safe and fair way to sell your car. We remove the time, stress and hassle of private sale and dealer trade. With an innovative, streamlined approach, we can review your documents, inspect your vehicle and complete the sale in as little as 30 minutes. Selling your car in Pine Brook couldn’t be easier! Start with a free, online valuation to find out how much your car is worth, then book an appointment to sell your car in Pine Brook, NJ. We’re BBB accredited and have great customer reviews! We've listed answers to the most common questions on the frequently asked questions section of the website but if you'd like to talk to someone, you can reach Ronny Cobilich who manages our Pine Brook car buying center at (862) 210-2135 during branch opening hours, listed above. You will be met by our Pine Brook branch manager, Ronny Cobilich, who will check your documentation to ensure you have the correct documents and proofs of identity. Ronny will then conduct a short inspection of your car to check its condition. This usually takes around ten minutes and you can accompany Ronny during the entire process. Most customers choosing to sell their car at our We Buy Any Car Pine Brook branch arrange a ride from a friend or family member in advance of the appointment. Your branch manager has a list of public transportation options available to you.